I was organizing some old pictures I have lying around when I came across this one of Ryan and I as kids. 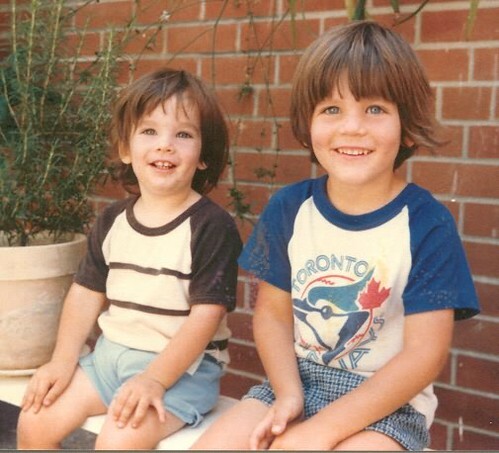 I like this picture because I'm such a young tyke in my Blue Jays shirt and looking at an even younger Ryan I see a lot of my son James. There's definitely a family resemblance. Just a couple of dudes hanging out on a bench on a hot summer day in Toronto. One of my favourite pictures shared with you from the vault.